Arthur Bryant, the son of Sir Francis Morgan Bryant, the chief clerk to the Prince of Wales, the was born in Dersingham on 18th February 1899. He was educated at Pelhum House and Harrow School. In 1917 he joined the Royal Flying Corps and became a pilot officer. In 1919 he went to Queen's College, Oxford, to study modern history. After graduating he taught history at the Cambridge School of Arts, Crafts and Technology. In 1925 he became a lecturer in history at Oxford University. His first published book was The Spirit of Conservatism in 1929. This was followed by King Charles II (1931) and the three volume, Life of Samuel Pepys. Bryant developed extreme right-wing views and in April 1939 he travelled to Nazi Germany with Major-General John Fuller and Lord Brocket to celebrate the fiftieth birthday of Adolf Hitler. After the outbreak of the Second World War Bryant urged a negotiated peace settlement with Germany. 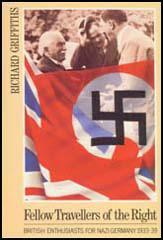 He worked closely with Lord Brocket and Bengt Berg in trying to arrange talks with Adolf Hitler. However, Lord Halifax informed the men that the proposal to grant Germany control over Poland and Czechoslovakia was not acceptable to the government. Undeterred, Bryant continued to describeWinston Churchill as a warmonger. Other books by Bryant include English Saga (1940), The Years of Endurance, 1793-1802 (1942) and Years of Victory, 1802-1812 (1944). Bryant also provided a commentary for the war diaries of Field-Marshal Lord Alanbrooke: The Turn of the Tide (1957) and Triumph in the West (1959). His bitter attacks on Winston Churchill in these books created a great deal of controversy. 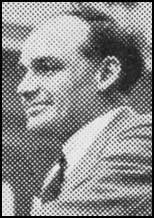 Arthur Bryant died in Salisbury on 22nd January, 1985.